Providing additional protection for your vehicle in the wintertime is vital to maintaining the paint especially, but also the wheels and glass. Snow and ice, and the scraping it takes to remove them, can be as rough on your vehicle as they are on you. This article will walk you through a few products and procedures that will give your vehicle just what it needs to weather the winter storm. Two words: road salt. Salt used to de-ice the roads can also de-paint your vehicle if you’re not careful. A quality paint coating, wax or sealant combined with correct maintenance will get your paint finish through the chilly months. Your best bet for winter paint protection is a paint coating because they last longer than your typical paint sealant (some coatings last up to 2 years! ), require less reapplications, and need minimal maintenance. Not many people have the right set-up for a full on car wash throughout the winter, and protecting your paint with a paint coating makes it easier to keep clean. Different paint coatings have different features and advantages. 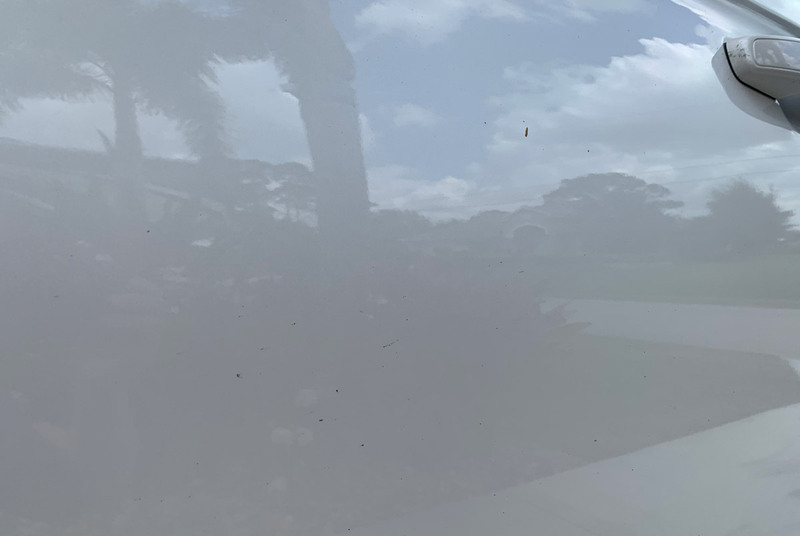 Wolfgang Uber Ceramic Coating is easy to use and can be applied to all exterior surfaces – including paint, glass, headlights, and hard exterior trim. With up to 3 years protection and resistance to dirt, grime, salt, and other car washes, Wolfgang Uber Ceramic is ideal for winter months. BLACKFIRE Pro Ceramic Coating is ideal for both professional detailers and detailing enthusiasts thanks to the ease in which it can be applied and the up to 2 year longevity. Pinnacle Black Label Diamond Paint Coating, when applied and maintained properly, provides up to 3 years protection as well, and will stand up against UV rays, airborne contaminants, dirt, acid rain, road salt, and other common pollutants that attack your vehicle on a regular basis. The extreme hydrophobicity of Pinnacle Black Label Diamond Paint Coating helps keep ice and snow from creating any long lasting marks on your paint. No matter what paint coating you decide is best for your vehicle, you will receive the best protection and durability through the long winter months with a dedicated paint coating. The downside of using a paint coating is the amount of prep work required for the coating to perform best. Often claying, compound, and polishing are some of the steps required. If you are not interested in that much prep work, we would recommend a paint sealant. The next best method of protection, synthetic paint sealants feature better durability (some paint sealants provide protection for up to 6 months) than traditional carnauba waxes, less maintenance, and easy application. BLACKFIRE Paint Sealant is a sophisticated oil-in-water emulsion and is safe for all finishes, with or without a clear coat. This emulsion contains a small amount of a very refined mineral spirit in a water base. Multiple coats can be layered to deepen the gloss without drying or weakening the paint. BLACKFIRE Paint Sealant is very easy to use and can be applied by hand or with a machine polisher. If you’re looking for the ultimate shine along with your protection, Wolfgang Deep Gloss Paint Sealant provides the best of both! Wolfgang Deep Gloss Paint Sealant 3.0 features fortified polymer technology. Wolfgang’s German Super Polymers are fortified with more dirt-repelling power to keep your vehicle cleaner and shinier, longer. Our enhanced super polymers have an amazing anti-static property that repels water, road-salt, oil, dust, and road grime to provide unsurpassed paint protection. The Forum Favorite Kit gives you both the acrylic protection of Klasse High Gloss Sealant Glaze, and the carnuaba shine of Pinnacle Souveran Carnauba Paste Wax. Start with Klasse All-In-One to clean the paint, seal it with Klasse High Gloss Sealant Glaze, and then top off the paint with Pinnacle Souveran. The Klasse twins will absolutely protect the paint from snow and ice, and the Souveran wax makes it easy to maintain a nice shine. We’ve heard great things about the durability of Collinite Insulator Wax #845; 5-6 months on average. It has a nice gloss and an amazing water-beading effect. Multiple layers is the key to durable protection all winter long. Also, many of these paint coatings can be topped with a carnauba wax! If you get one sunny day this winter, you can always put a layer of your favorite carnauba wax over your paint sealant for an enhanced shine! Washing your car during the winter can be a challenge, but you don’t have to leave road-salt and dirt on your car just because you can’t do a full bath! Using a waterless or rinseless wash allows you to remove those unsightly contaminants safely. BLACKFIRE Waterless Wash in the ready-to-use spray bottle gives you a powerful ally in keeping your vehicle clean. This high lubricity waterless wash uses BLACKFIRE's proprietary polymers to encapsulate dirt and dust so they wipe away with out scratching. Fingerprints and smudges disappear. Meanwhile, the anti-static polymers bond to the paint to reinforce the existing protection and create a whiplash-inducing shine. BLACKFIRE Waterless Wash is a car wash in a spray bottle! While BLACKFIRE Waterless Wash won’t remove your existing layer of protection (if anything, it boosts the performance! ), another great option for winter washing is Optimum No Rinse Wash & Wax. After you wash your vehicle with Optimum No Rinse Wash & Wax, you’ll immediately notice the crisp, clear reflections that the real carnauba wax imparts on the paint. What’s more, your vehicle will stay cleaner as the carnauba wax will create an immense amount of surface tension, causing water to bead up and roll off. Both of these products, as well as most of the other waterless and rinseless washes, can be used on all exterior parts of your vehicle, including wheels, bumpers, rims, and glass, so you can keep your whole car clean this long winter! Your wheels and tire need to be protected just as much as your paint does during the winter. Use McKee's 37 Wheel Glaze, a protective wax for your wheels. It prevents brake dust adhesion, which is a problem year-round, and it repels snow and ice. It does require regular reapplications to maintain a high level of protection but the results are well worth the effort. As with the paint above, wheel coatings are another great option for protection. Pinnacle Black Label Diamond Wheel Coating blankets your wheels in a rock-hard barrier of protection that is impenetrable by ferrous brake-dust particles, road salt, tar or oil. Requiring minimal maintenance, just one application will last the entire winter season. Tire protection is two-fold. For starters, the rubber needs to be kept supple in freezing temperatures to prevent cracking. Pinnacle Black Onyx Tire Gel looks great but most importantly; it hydrates the rubber to keep it flexible. Secondly, make sure your tires are properly inflated. The air inside tires shrinks in cold temperatures. If they become under-inflated, the tread will not make enough contact with the road to maneuver on icy asphalt. Accutire MS-4355B Digital Programmable Tire Gauge measures psi from 5 to 99 in half pound increments. Wurth Windshield Wash Additive is an antifreeze and cleaner that will keep your windshield clean and frost-free. Simply add it to your windshield washer fluid according to the directions. The additive protects against freezing down to -22°F and overspray will not affect paint, plastic, or rubber. Everyone in snow-prone areas needs a quality ice scraper. The Ice Master Ice Scraper removes all kinds of frost, snow and ice from the windshield and windows with four blade configurations. If scraping doesn't appeal to you (we understand!) 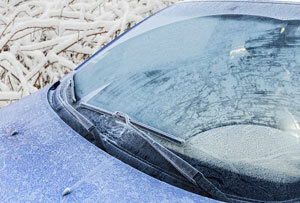 1Z Einszett De-Icer Spray is a quick solution to an icy windshield. 1Z Einszett De-Icer Spray penetrates and speeds up the removal of light snow, ice, and frost. It does the hard work for you, so you can easily push the frosty remnants off the glass. If your vehicle is covered in snow, you’re garage floor soon will be. The Park Smart Heavy Duty Clean Park Garage Mat has a raised, removable lip around its edges to hold liquid until you have the opportunity to squeegee it out of the garage. The mat also catches oil to prevent stained concrete. If you travel during the winter, you must have a Battery Tender battery charger! A Battery Tender battery charger keeps your car battery fresh over long periods of inactivity, saving you the cost of battery replacement. The Battery Tender Plus is our most popular model. If you have to park outside during the winter months, consider a car cover. The Block It 400 Evolution cover is heavy duty protection against moisture and impact. If you want considerable protection in a lighter weight cover, the WeatherShield HP cover is manageable enough for everyday use and it offers great protection against the elements. WeatherTech Floorliners offer durable, full coverage protection for your vehicle's carpet. These mats hold moisture, like snow and mud, and cover more area than traditional floor mats. Once winter sets in, arm yourself with the best ice scrapers and snow movers. Choose from the Snow Joe Telescoping Snow Broom or the SNOBRuM Snow Removal Tool. Each tool is made for heavy duty ice and snow removal and they're safe on automotive surfaces. Ice scraping is easier when you use 1Z Einszett De-Icer Spray. It penetrates snow, ice, and frost so it can be easily scraped away. McKee's 37 Frost Bite Ice & Snow De-Icer quickly removes ice from your glass surfaces while also leaving special ingredients behind to help prevent future ice build-up! Clean your windshield and prevent re-icing with 1Z Einszett Anti-Frost Washer Fluid, or McKee's 37 Anti-Frost Windshield Washer Fluid. It works down to -20°F! Check out the featured products below with some available in money-saving kits and combos!